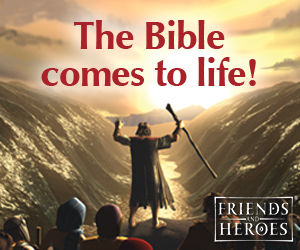 Instant Download KJV Bible Lesson - $2.95 - 25 Pages - Includes everything on this page. 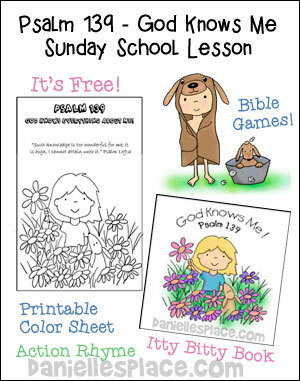 Children learn that God leads us through his word, through prayer, and the Holy Spirit. He tells us how to live so that we will be happy and successful. 1. Before class print out the Shepherd Patterns, the Shepherd's Head Covering Pattern, Right Path Sheet and the Sheep Head Patterns. Cut the sheep heads out and the shepherd's arms and body patterns out. 2. 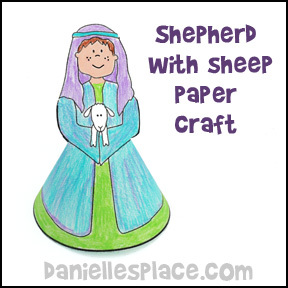 Use the shepherd's head covering to cut patterns from paper towels. 3. Cut paper towel tubes four inches long to fit the Shepherd Pattern. 4. 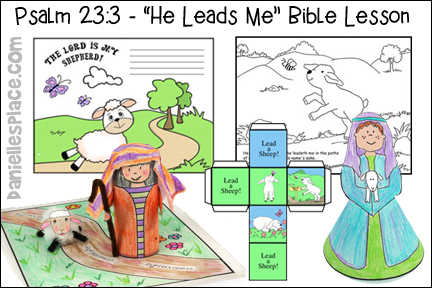 In class have your children color the shepherd patterns, draw in a face and hair, and then glue them to their tubes. 5. Have them color the paper towels with crayons and then glue them to the top of the tube for a head covering. The straight part of the pattern goes in the front. 6. Cut Chenille stems five inches long and bend one end to make a staff. Glue the staff to the shepherd's hand. 7. 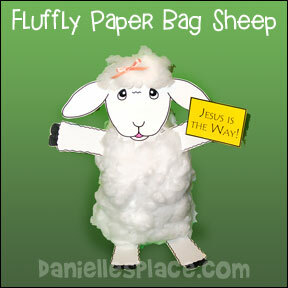 To make the sheep have your children color the sheeps head and glue them to a pompom. You can also cut one-inch lengths of Chenille stems for the legs and glue them to the pompom. 8. 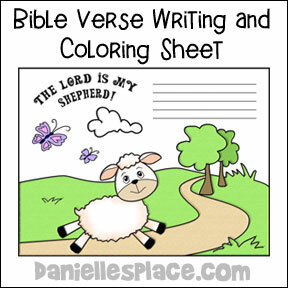 Have your children color the Right Path sheet and place the shepherd and sheep on the finished sheet. 1. Print out the patterns onto card stock and cut them out on the dark lines and around the head. 2. 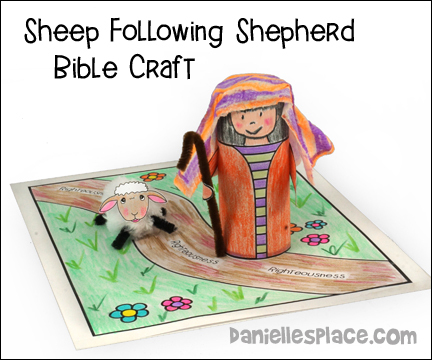 In class have the children color the shepherd and then bring the sides together to form a cone shape so that he can stand up. Teacher: Woolie what are you doing in here? Are you hiding? (Have Woolie peek out shyly.) Woolie why are you hiding? I'm sure all the children would like to see you this morning. (Woolie comes out slowly.) Woolie, why do you have a Band-Aid on your nose? Did you get hurt? Teacher: I hope it doesn't hurt too bad. Teacher: What happened? How did you get hurt? Teacher: Oh, you took that shortcut. You thought that would get you to the green pastures quicker, didn't you? Teacher: But Woolie, didn't you see that there were also a lot of dangerous things along the shortcut path? Teacher: Don't you know that the good shepherd knows all the right paths. He knows the best ways for you to go. He would never lead you in a way that was bad for you. It may seem like it is the hard way or the long way, but he knows the best way for you. Teacher: Do you remember that time you had a fight with your friend Sammy and you didn't know How to make about it? (Woolie shakes her head yes.) We talked about it and read some scriptures in the Bible, and they helped you to know what was the right thing to do. You guys made up, and now you are best friends. God told you through his words that the right thing to do would be to forgive Sammy. God leads us through his words helping us to make the right choices just like your good shepherd leads you on the right paths. Teacher: Woolie I hope you feel better soon. Will you come back and visit us next week? 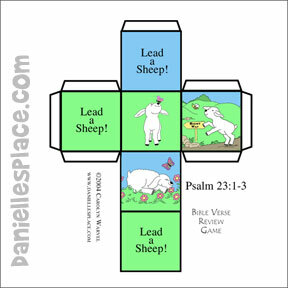 Today we are going to read the third verse in this Psalm. (Open the Bible and read the verse.) "He leads us in the paths of righteousness" means that he shows us what is right and how to live our life and make the right choices. He shows you the right things to do just like Woolie's shepherd shows his sheep the right paths to follow. Following God's word seems hard sometimes and not very fun, but when we follow God, we will be truly happy. 1. Before class print out the Sheep Head Patterns and the Sheep Leg Patterns and the Sign Pattern and cut them out. 2. If you don't have a lot of time in class for crafts or extra help, you may want to assemble the sheep before class and just have your children glue on the fiberfill and sign. 3. In class have your children stuff the paper bag with wrinkled up pieces of scrap paper. (Newspaper will leave black ink on their hands.) Staple the bag closed at the top. Glue or tape on the legs and head. Glue the sign onto one hoof. Spread glue over the body and stick pieces of fiberfill onto the glue. If you are using the clear plastic bags, have your children stuff the plastic bags with wrinkled up pieces of tissue paper. Staple the bag closed at the top. Glue or tape on the legs and head. Glue the sign onto one hoof. Before class place a 2" x 4" piece of lumber or a wide piece of tape on the floor. Have your children line up behind one end of the board. Tape a piece of paper to the opposite wall with the word "God" written on it. Explain to the children that it isn't always easy to know what the right thing to do is, but if we keep our eyes on Jesus, follow his example, and listen to God's word, we will know. Have the children each take a turn walking over the 2" x 4" or tape on the floor. 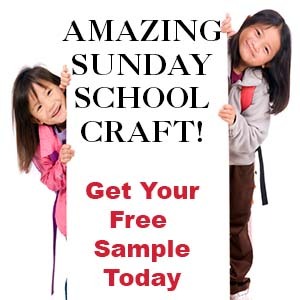 Tell them to keep their eyes on the paper with the word "God" (straight ahead) written on it as they walk. Ask the children if it was easy or hard to keep their feet on the board as they come to the end of the board. Now stand to the side of the board and a little bit behind the halfway mark. Tell the children to walk the board again but this time they should keep their eyes on you. As they come to the end of the board ask them if it was easier or harder to stay on the board. Explain that when we keep our eyes on Jesus and do what God's words tell us to do in the Bible, we will know what is right. When we start looking at other people and listening to them we can get confused and not always do the right thing. God will lead us through his words to do the right thing. You can also discuss some things people say that can make it confusing about what is the right thing to do. For example, people say things like: It's okay to do it because everyone is doing it. There's just a little bit of bad language in the movie, so it's okay to go see it. No one will ever know, so it is okay. You won't get caught, so it's okay to do it. It's just a little white lie, etc." 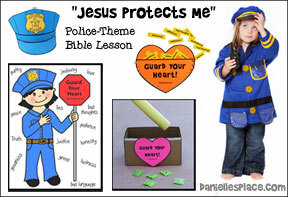 Tell your children that when we follow Jesus' example in the Bible we are taking the right path. Tell them to practice following you and to do exactly what you do. Before class print out the cube pattern. In class have your children sit in a circle and take turns throwing the cube. If the cube lands on a picture, they should say the verse or a phrase (depending on how old they are) pertaining to that picture. You may also want to give them a Teddy Graham or something similar. Ho hum, ho hum, and skittle, a skittle, a dee. Oh, Jesus is our shepherd.